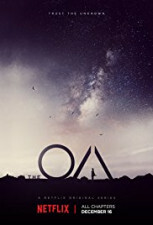 Working on Season 2 of Netflix's THE OA, MAJOR NETWORK shows, and a Feature Film that shoots in Philly! Steven casts MANY New York Actors for his projects via Self-Tape. His shows often fly-in Actors from the East Coast! Recently worked on a FEATURE FILM starring Kate Micucci, TBS' FULL FRONTAL WITH SAMANTHA BEE, CW's FREQUENCY, SEARCHERS, Disney Channel's KC UNDERCOVER. You will work ON-CAMERA with Steven using general sides he's provided for you. In class, Steven will begin with a Q&A before you perform your sides. Then he will give you feedback and adjustments on your scene, as well as review and give feedback on your resume. Steven Tylor O’Connor is a CSA casting associate and an independent writer/producer . Steven currently resides in Los Angeles after spending six years living and working in New York City. He started his casting career interning at CBS-NY then working at NBC-NY. Upon moving to Los Angeles, he worked on series such as "The Game," "Liv & Maddie" and "KC Undercover." He was recently nominated for an Artios Award for Nickelodeon's "Nicky, Ricky, Dicky, & Dawn." As a producer, Steven has two shorts available on Amazon, all of his shorts are available on either Dekkoo or Revry, and he has a feature about to finish with post-production.